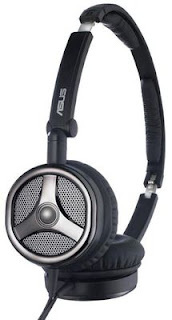 Asus has announced the availability of the old continent NC1 earmuffs that would be able to block 87% of outside noise according to the firm that uses a system powered by one AAA battery, which would have life time of 100 hours. Asus plans to sell his helmet for 65 €. It folds for easy storage and transmits sound between 16 Hz and 22 kHz. We must not expect miracles. This is an entry level headset that will allow those who still have a limited budget to enjoy the isolation of this kind of solution at lower cost. Asus does not compete on the field of audio performance, which also explains that its press release issued in March focuses almost entirely on the mechanism noise. We also advise you to read our comparison of noise-canceling headsets published previously to make an opinion on the most popular models and judge whether this kind of solution for you or if intraocular models are better suited to your needs. One thing is sure, we urge you to change the pair of headphones that came with your iPod or iPhone.